[Update] Following the publication of the story, CMS Infosystems got in touch with us and clarified that it does not have any app. Users looking for ATM finders on Google Play store are advised to be wary of apps carrying the same name. The demonetisation of the Rs. 500 and Rs. 1000 currency notes has taken India by storm. The sudden rush to exchange the now defunct denominations with notes of lower denominations or new currency notes has overwhelmed banks across the country. While some people have resorted to online modes of transactions, people in urgent need of lower currency notes have tried to search far and wide for functional ATM machines, most of which are either not operational now or have long queues of people waiting to withdraw money. 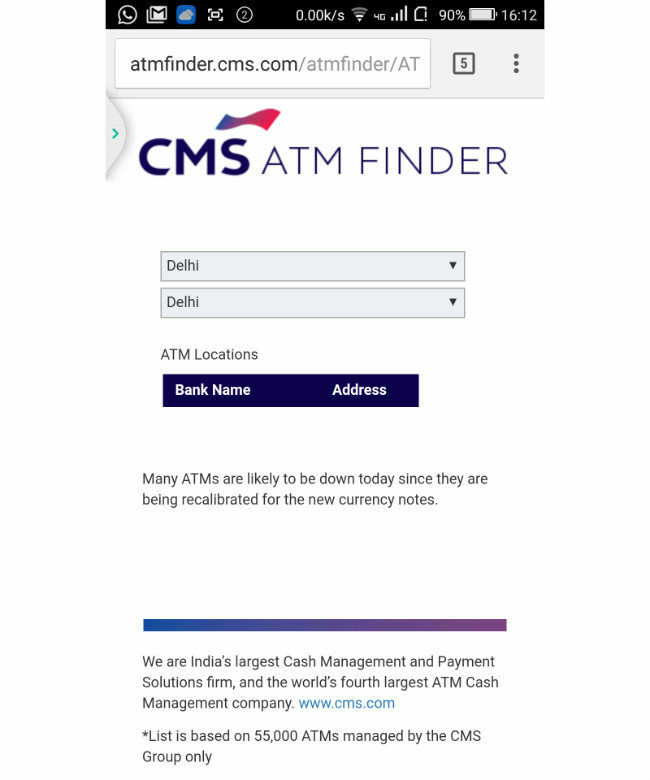 Seemingly responding to the need of the hour, a number of ATM finder apps such as Walnut, CMS ATM Finder and ATMsearch.in have popped up in the last few days. Today we took the opportunity to check out these apps and websites, and find out the advantages or pitfalls of the same. 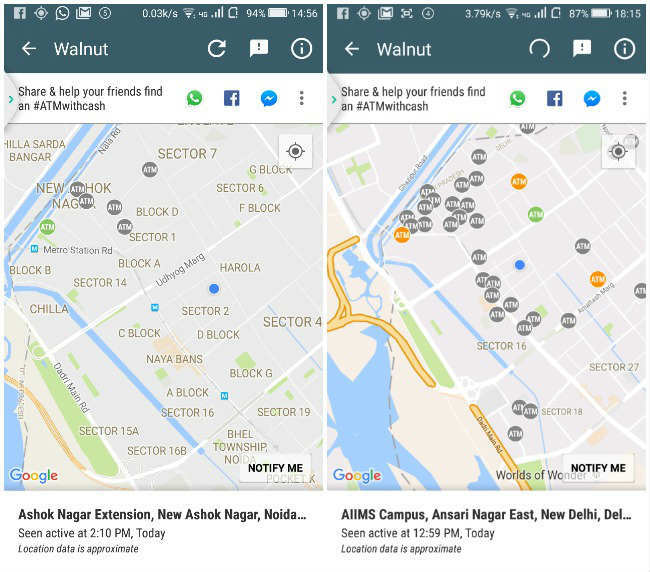 A personal finance management app, launched a feature to help you amid the cash crunch Walnut already has more than 1 million downloads. The app tries to find if there are any ATMs with cash near you based on your location. Walnut uses inputs form users and shows information such as queue length, and the last time the ATM was active. The company says it plans to add information regarding the availability of specific notes at ATMs in the next update. Our experience with Walnut started right from the first login. The app stipulated a time-frame of 60 seconds for the verification code to arrive, but we received it almost half an hour later. Of course, that could just be because of load on the company's servers right now. What's tougher to swallow, though, is the fact that Walnut's data is pretty innacurate. In Noida, Sector 2, the app showed there were no ATMs nearby, when there should have been at least three. 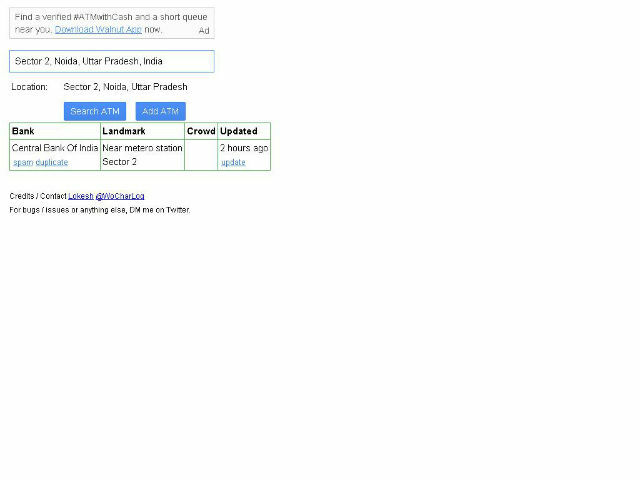 Further, searches near Uttam Nagar also showed no ATMs, and we got the same results near Ghaziabad. The results were also innacurate in Mayur Vihar, Phase-1 in New Delhi. Walnut's data is majorly dependent on users providing information. However, that is also the app's greatest weakness, since its users don't seem to be updating information on the go. 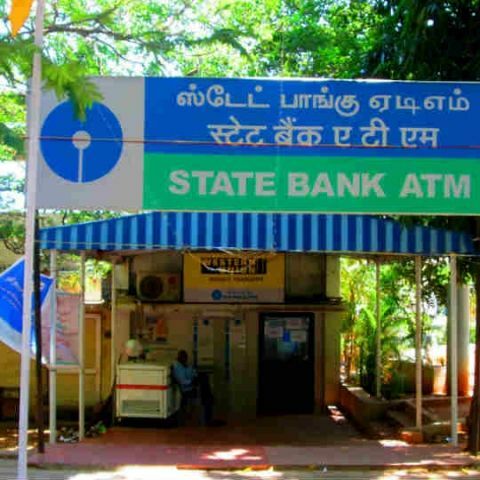 CMS Infosystems manages 55,000 ATMs across India. So, the company has setup an ATM finder tool that provides information on working ATMs; you can select any city and find out if nearby ATMs have cash or not. This is limited to only the 55,000 CMS ATMs, but we expected more accurate information from the company. Our experience with the website left much to be desired. The first page asks you to input the state and city. We tried Noida and Delhi and found no information. The same result was obtained from many other cities as well. Of course, CMS Infosystems is only showing ATMs that it controls, which makes more sense of the results. ATMsearch.in uses user inputs to provide you information about the availability of ATMs in your vicinity. Users can search for any area by typing in the location and hitting the Search button. You are then faced with a list of ATMs that have cash or no cash, and how long the ATM queue is, along with nearby landmarks. It is also dependent on inputs from users, who can add unlisted ATMs by providing basic details, such as bank name, landmark, and crowd status. That means ATMsearch suffers from all the issues we faced in Walnut. Given that none of these websites of apps really seem to work, there's a big privacy concern involved. On paper, the apps do need the data they're taking from you, in order to do their job. However, there's no guaranrtee that your data will not be misused. Walnut for example, is a money manager, and it reads all the SMSs from your banks. It needs access to your entire phone logs to do this. We're not very quick to trust such a service, especially because of how poor its ATM finding services are. All of these apps can also take advantage of your location information for targetted advertising etc. If you're not careful, you may even fall prey to spoofed websites. Our search for the perfect ATM finder turned out to be futile. Not only did we not find functional ATMs, but the nearest working ATMs did not come up on the apps (this we found out by practically walking to all the ATMs in the neighbourhood). This can be annoying for desperate users hunting for hard cash and a booster for digital wallets such as Paytm and Freecharge. If a SSD is so fast, why should we use RAM?